This is some background information relevant to the blog post Secure Bike Parking Vanishes from New Central Library & Bus Station Plans. What was on the site before? 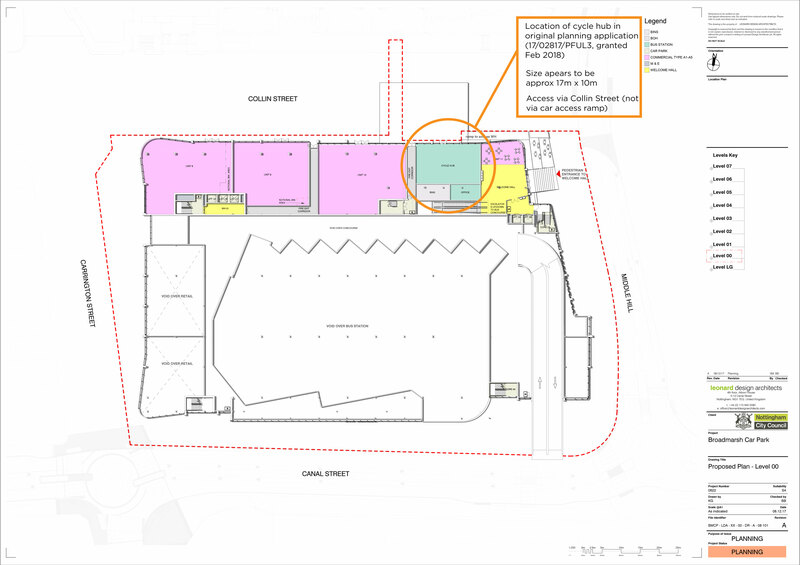 Ground Floor plan from original planning application, shows cycle hub. There will now be a new Central Library inside the new building, “occupying the lower two floors of the building fronting Collin Street and the first floor fronting Carrington Street, above retail units below”. 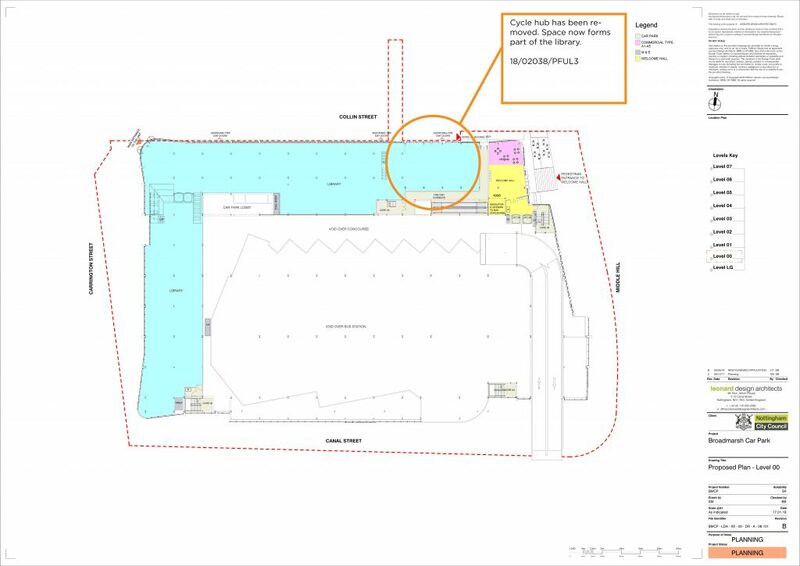 Ground Floor, revised plans with no cycle hub.